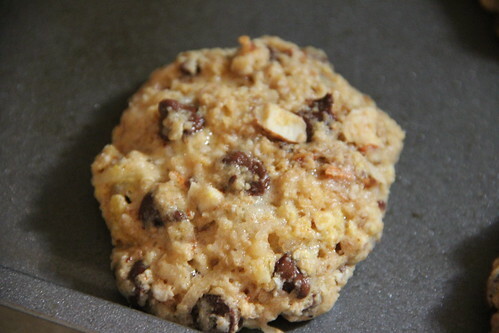 Standard chocolate chip cookie recipe + coconut + cashews and almonds + cardamom + cinnamon. I should not be here when I’m hungry! Good grief, that sounds tasty!